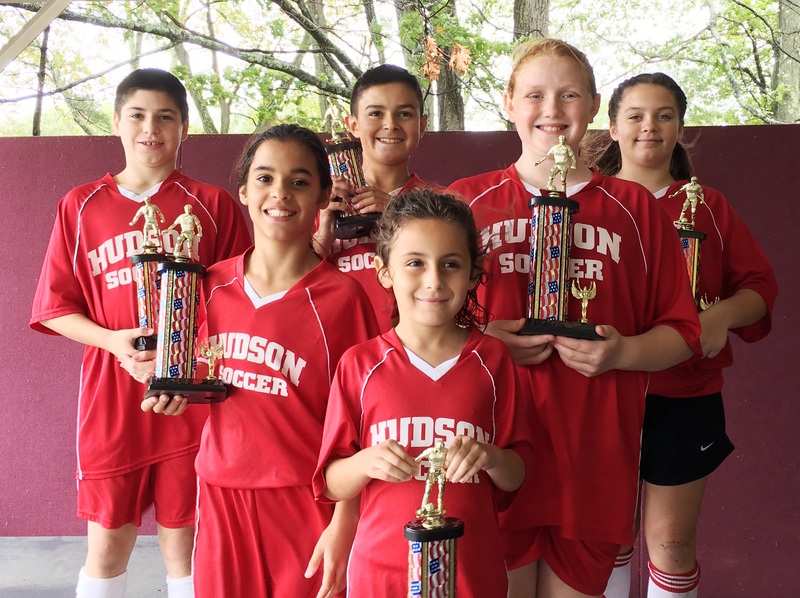 Each year for the past few years, the fantastic folks at the Hudson Elks Club and Elks Clubs throughout the state have put on a Soccer Shootout, where local soccer players compete for soccer shot accuracy. The players compete at the town level and the winners then compete at the district and state level. 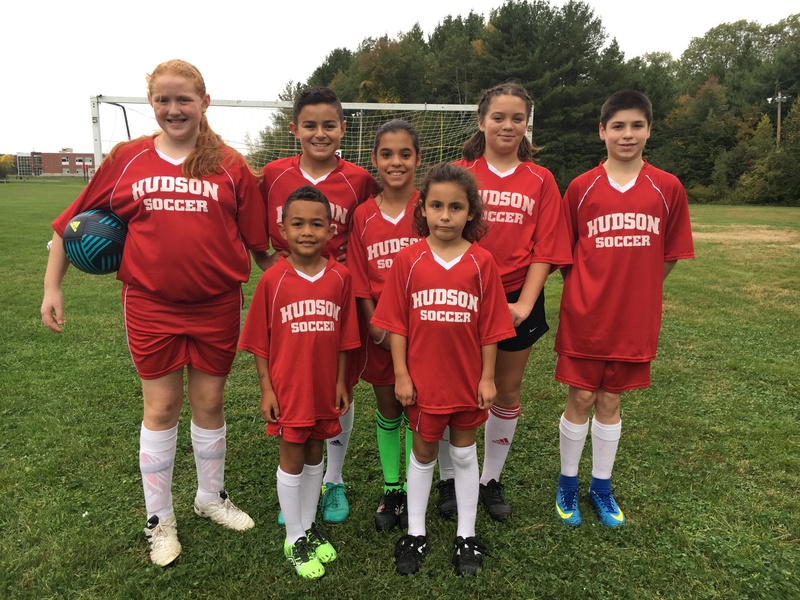 This year, we had 110 HYSA players competing in the Hudson-Concord Elks Soccer Shootout on September 24th as part of our HYSA Family Fun Day. The top 3 finishers for boys and girls in each age group received medals (full results below) and the top competitor in each age group advanced to the District competition. A big congratulations to all our local soccer players in demonstrating their terrific shooting skills. Photo: (L to R) Lauren Walsh, Dominic McIntyre, Nicholas Giorgi-Woodford, Kendra Drouin, Ella Farrell, Gracyn Thomason & Connor Lyons. 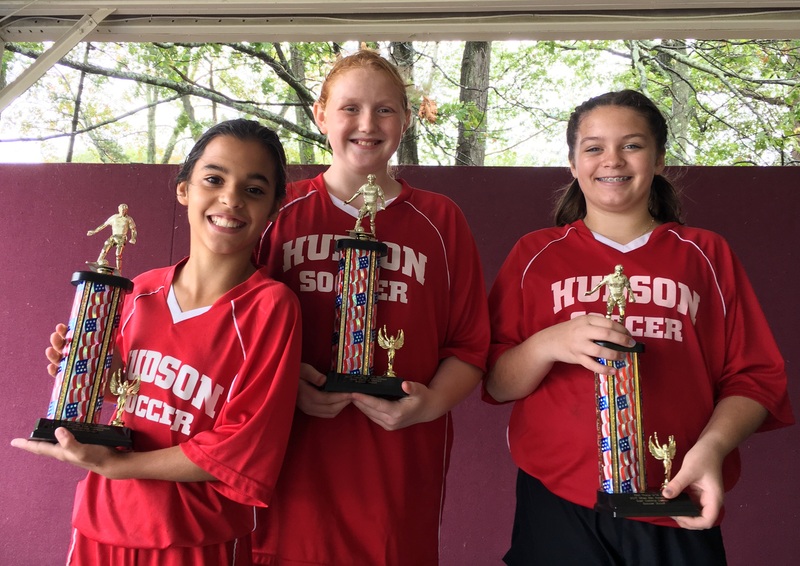 At the District Soccer Shootout held at the Hudson Elks on October 8th, a number of HYSA players placed in the competition. Photo: (L to R, with results) Connor Lyons (Boys Grade 7/8 – 2nd place), Kendra Drouin (Girls Grade 5/6 – 1st place, Nicholas Giorgi-Woodford (Boys Grade5/6 – 2nd place, Ella Farrell (Girls Grade 1/2 – 2nd place), Lauren Walsh (Girls Grade 3/4 – 1st place) & Gracyn Thomason (Girls 7/8 Grade – 2nd place). Kendra Drouin (Grade 5/6), Lauren Walsh (Grade 3/4) and Gracyn Thomasch (Grade 7/8) each placed 1st in their age group at the District Shootout competition. Congratulations to Kendra, Lauren and Gracyn! For placing first, each of them qualified for the Massachusetts State Soccer Shootout competition. Photo: (L to R) Kendra Drouin, Lauren Walsh & Gracyn Thomason. 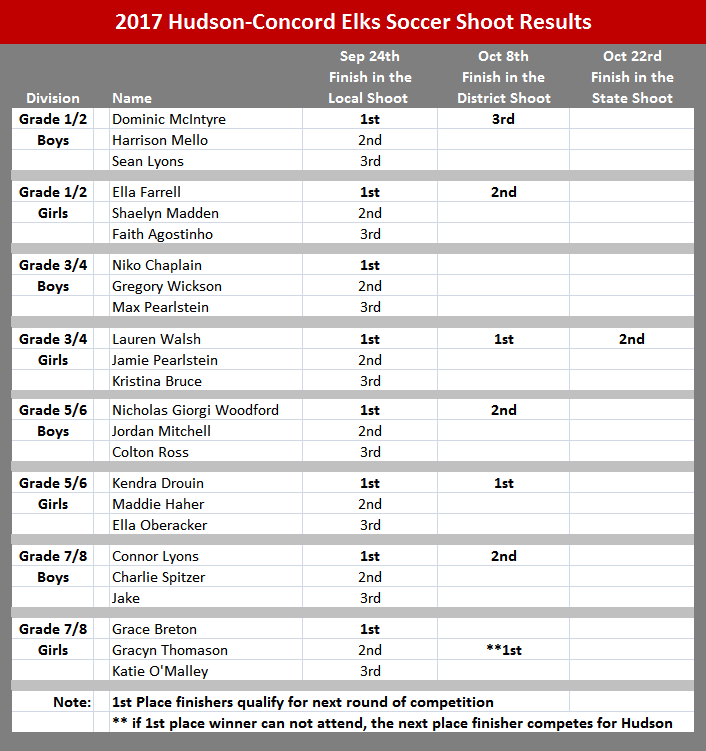 At the Massachusetts State Shootout competition on October 22nd held at the Hudson Elks, Lauren Walsh placed 2nd in the state for Girls Grade 3/4 against some the top soccer players in Massachusetts! Congratulations to Lauren for a fantastic achievement! 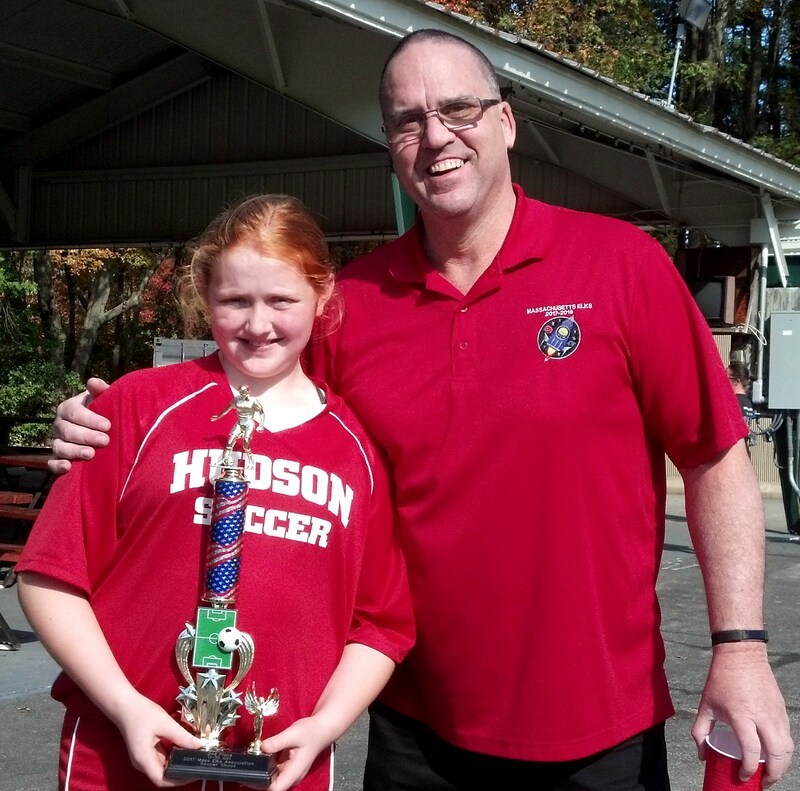 Photo: (L to R) Lauren Walsh and the Elks Soccer Shootout State Director.